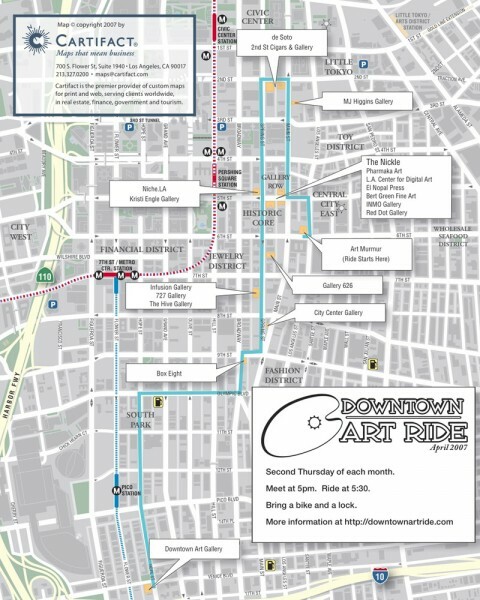 Map of a bicycle tour of the galleries and Museums in Downtown Los Angeles. 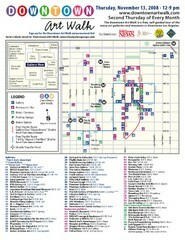 The Downtown LA Art Walk, held every Thursday. 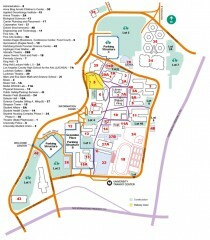 California State University, Los Angeles Campus Map. All buildings shown.